Construction : S.S. 304/ M.S. Construction option also available. Approx Output : 16 Head - 120 BPM, 24 Head - 160 BPM, 30 Head - 180 BPM on 180 ml. Bottle. 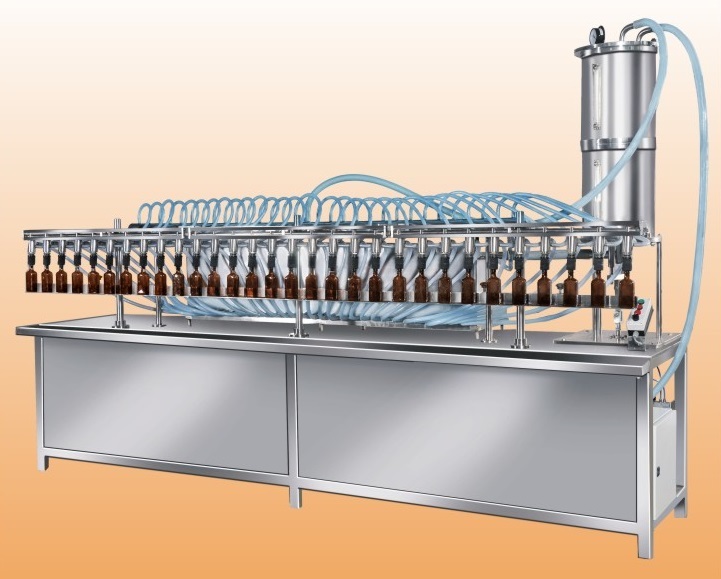 Automatic Overflow System : The unit will be provided with specially designed S.S. Overflow Collector which will receive the excess liquid sucked back by the filling nozzles from the bottles.